The St. John Vianney Fiesta is a long-standing tradition for the East Foothills community. 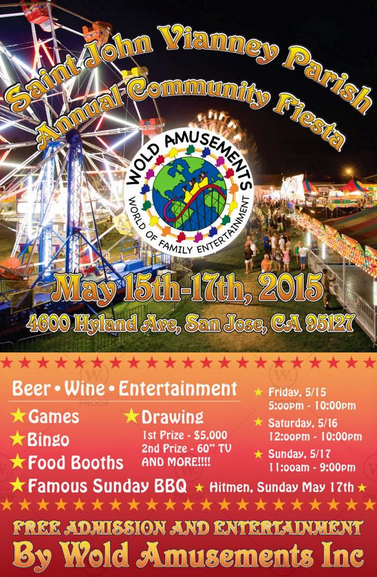 There will be carnival rides, games, live entertainment and a large assortment of delicious ethnic and American foods. The event starts tonight and runs throughout the weekend at 4600 Hyland Avenue. For more information head over to the event's Facebook page over here.